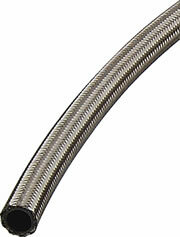 Compatible with synthetic lubricants, fuel, alcohol/methanol, coolant, and oil, this braided hose was developed to meet strict racing specifications. 100931 is rated 5.0 out of 5 by 1. JEGS 75050 - Self-Fusing Silicone Tape 1 in. x 10 ft.